China’s Communist Party has sacked a dozen provincial and local officials and vowed to punish a pharmaceutical firm over a vaccine scandal that inflamed public fears over the safety of domestically produced drugs. The government has been struggling to shore up public confidence in the pharmaceutical sector following the revelation last month that a major Chinese manufacturer of rabies vaccines was found to have fabricated records and was ordered to cease production. The government has said the suspect rabies vaccines did not enter the market but the case provoked unusually strong outrage online from consumers fed up with recurring product-safety scandals, particularly in the drug sector. The CEO of the company in question, Changchun Changsheng Biotechnology in the northeast province of Jilin, has been arrested along with 14 other people in connection with the scandal. The first political casualties fell on Thursday as a dozen officials were removed from office, including Jilin’s deputy governor Jin Yuhui, according to the official Xinhua news agency. Jin was in charge of monitoring the safety of food and pharmaceuticals. The decision to sack him was made at a meeting of the ruling Communist Party’s elite seven-member standing committee, led by President Xi Jinping. 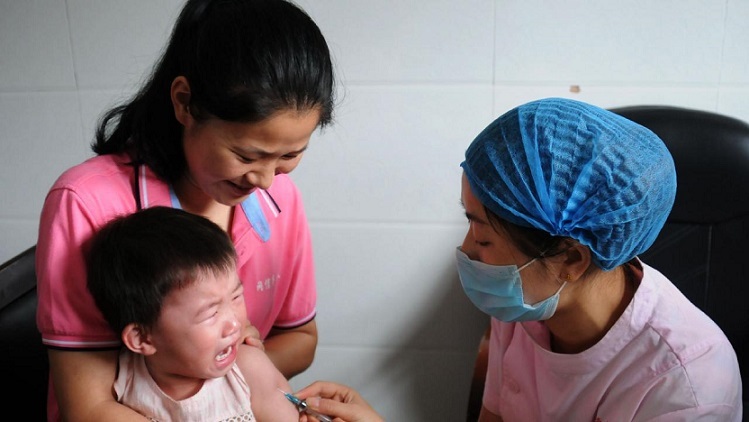 “Those who break the law and jeopardize public safety, notably in the matter of vaccines and medicines, should be severely punished,” Xinhua reported, citing the meeting’s conclusions. The standing committee also asked for the resignations of three other officials: The vice chairman of a provincial committee, the mayor of Jilin’s capital, Changchun, and the deputy head of the State Administration for Market Regulation. Another eight provincial and city officials were removed from office by the regional leadership. The former deputy chief of the now defunct China Food and Drug Administration will be investigated by the party’s anti-graft agency, Xinhua said. Another 35 non-centrally administered officials “will be held accountable,” the agency said without elaborating. Since the latest case came to light, the authorities have announced a nationwide inspection of laboratories producing vaccines, but many Chinese parents say they no longer have confidence in the medicines administered to their children.